Westland police say a 10-year-old boy was hit and killed while chasing his dog into traffic on Saturday evening. It happened around 7 p.m. at Wayne Rd. and Melton. We're told the boy was chasing his dog who ran into the street when he was hit by the car. The car was driven by a 69-year-old who did stop at the scene. The boy was taken to a local hospital where he later died. The dog was also killed in the tragic accident. Westland police are still investigating the case. We're told drugs and alcohol are not a factor. He was identified as 10-year-old Gage Carter. His stepfather describes the boy as being full of life all the time. 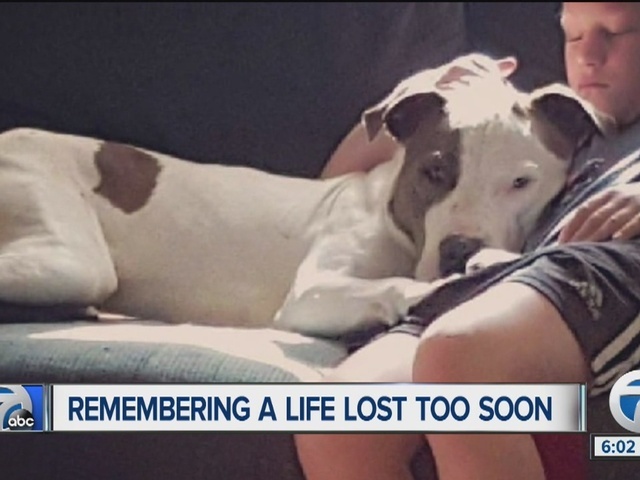 Sleep told 7 Action News he enjoyed spending time with his 18-month-old American Bull Dog, Pit Bull mix, Stitch. The family has set up a GoFundMe to help raise money for the cost of a funeral and other expenses.